This week is finals week so you could say I’m going to be pretty grateful when it’s over (Partaaay!! ), but I’m also very grateful today. Last week we noticed that Dallas’ loan’s where accruing interest, so we decided to pay them off… What? Who does that? Thankfully we were able to, but I know many people aren’t so lucky. Today I am grateful for the HUGE blessing and miracle it is for Dallas and I to both be graduating college with no student debt. It is like a huge weight lifted, and I still in awe at how seriously lucky/blessed we are in life. What are you grateful for today? 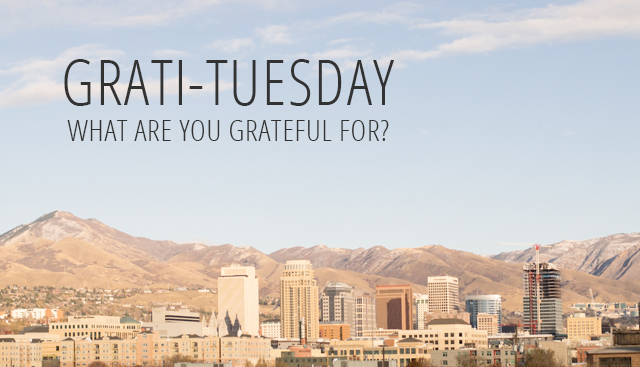 Big or small, I want to know what you are grateful for in the comments! I am grateful for Christmas music! I just love it! Best of luck with finals!